Hope you can help IT by filling out these G Suite/Google Apps use surveys. One is for administrators and one if for teachers. Results will help guide future use of G Suite, as well as professional learning opportunities offered to district staff, and strengthen support. Please share and pass on to your admins and colleagues. Please fill out this brief survey to help us determine the use of Google Apps in your classroom and school. Please fill out this brief survey to help us determine the use of Google Apps in your daily work and at your school. On the first day of ISTE, Google for Education gives to you: 12 updates to help teachers save time and spark creativity in their students. By releasing educators of time-consuming tasks, these new features and tools will enhance teachers’ ability to organize courses, increase collaboration with students, and unleash creativity in the classroom. Check out the full post. Join us for Camp Chromebook on Wednesday, June 20, 2018 at Boise-Eliot/Humboldt School in Portland, OR. This is a *free* professional learning opportunity for anyone that is interested in learning more about Google Apps and G Suite for Education tools and how to integrate them into your classroom instruction using best practices and relevant strategies. All levels welcome. Check back for the schedule to see the sessions that will be offered. Register here for the event to save your spot! You can volunteer to facilitate a session here. Please share with any interested colleagues. Will run from 8am – 1pm for a full day of fun. Bring your own device (Chromebook or laptop recommended). Four session times, each one 55 minutes long. Each session time slot will have multiple workshops to choose from, you pick what you want to learn more about. Use the hashtag #campchromebook to share your learning. edcampPDX This Saturday, March 10! The next edcampPDX is scheduled for Saturday, March 10, 2018 at Lakeridge Junior High School, 4700 Jean Rd, Lake Oswego. You can register for FREE here. Please plan to go offsite for lunch or bring your own food and water bottle. An edcamp is an informal unconference-style day of professional development organized and given by the local participants with sessions determined at the time of the event. Connect with other educators to share innovative instructional strategies and technologies that transform education for all students. Arrive with an idea for a session that you would like to lead or a discussion you would like to have and be ready to learn. Read more about EdcampPDX here. Author mlimpdxPosted on March 6, 2018 Categories EdCamp, Professional Learning, UncategorizedLeave a comment on edcampPDX This Saturday, March 10! 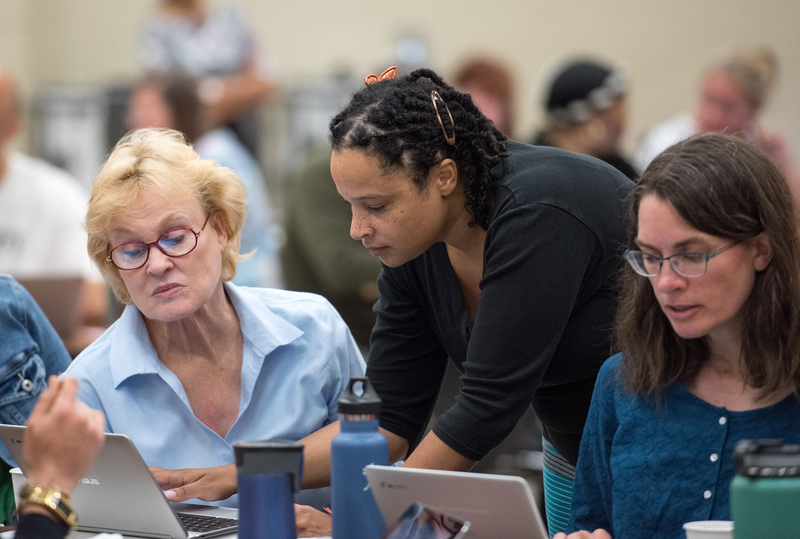 This first year will focus on the exploration of technology resources in a safe collaborative environment to support students with personalized, equitable, racially and culturally responsive learning. Teachers will be expected to complete hands-on projects, improve their technology skills in a variety of areas and become proficient in using online tools. If accepted, participation in this group is voluntary, not paid, and you must commit to three meetings: Thursdays, Jan. 18, March 15 and May 17, 2018 from 4-7 pm. Deadline to submit your application is Friday, Nov. 17, 2017 at 5 pm. PDUs are available. Only teachers are eligible to apply. Questions? Contact Melissa Lim, mlim@pps.net. 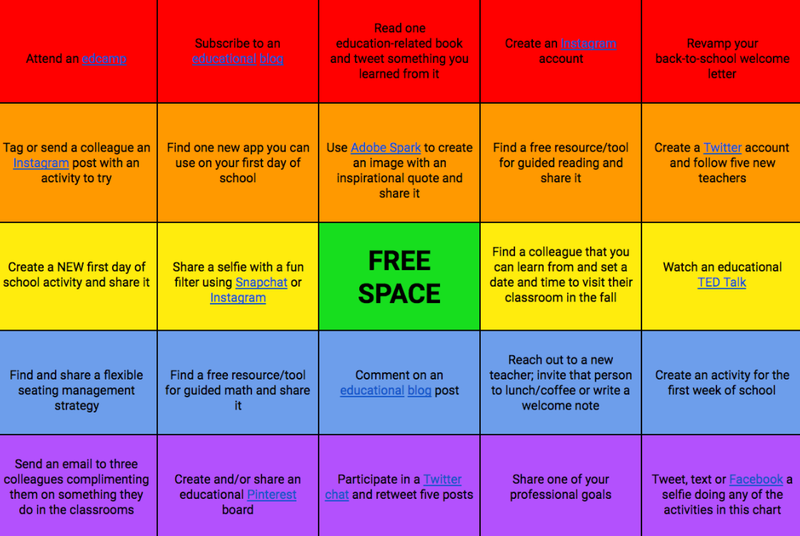 Here’s a fun, self-paced activity to help you continue your professional learning through the summer. Record your progress on the form linked below. Check it out! The next EdcampPDX is scheduled for Saturday, March 4, 2017 at Oregon Episcopal School.